Oral and maxillofacial surgeons perform intricate surgeries on jaws, teeth, lips, and the surrounding structures. Oral and maxillofacial surgeons may diagnose a patient’s misaligned jaws, obstructive sleep apnea, or cancers of the mouth. They perform surgery that removes tumors or impacted teeth… adjust the position of the jaw to be more functional and comfortable… or provide structure and symmetry to the appearance of the face and mouth. Some provide emergency treatment of facial injuries, or may reconstruct a patient’s jaws and face after an illness. They may also administer conscious sedation for patients who need it, when full anesthesia is not indicated. These surgeons may work in hospitals for more complicated operations, but usually spend most of their time in a dental office with an outpatient surgery suite. They collaborate with other professionals, like orthodontists and restorative dentists to plan treatment for diseases, injuries, and defects of the mouth. They typically work full-time. Becoming an oral and maxillofacial surgeon requires a doctoral degree from dental school, dentistry licensure, and a four- to six-year surgical residency… after which they must obtain board certification. Many also obtain a medical doctor degree as well. The extensive training and experience these surgeons bring to their work enables them to solve complex problems and relieve patients’ pain… right when it’s needed the most. Administer general and local anesthetics. Collaborate with other professionals, such as restorative dentists and orthodontists, to plan treatment. Evaluate the position of the wisdom teeth to determine whether problems exist currently or might occur in the future. See more details at O*NET OnLine about oral and maxillofacial surgeons. 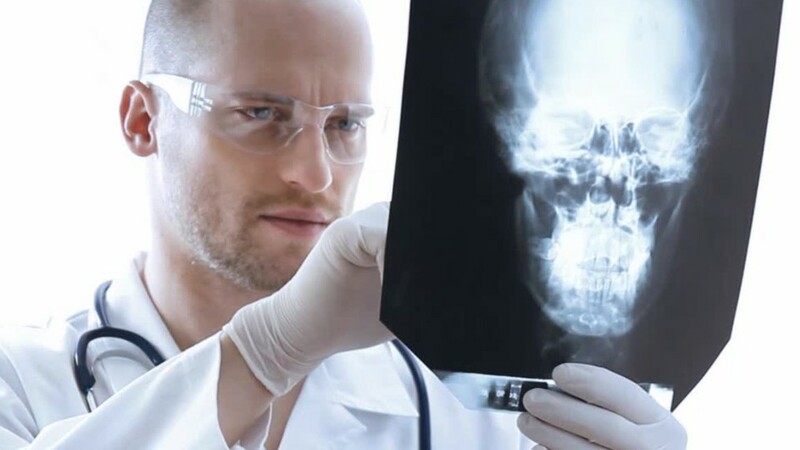 Oral & Maxillofacial Surgeons by U.S. Department of Labor, Employment and Training Administration is licensed under a Creative Commons Attribution 4.0 International License.